The fourth edition of the LVMH Prize for Young Fashion Designers saw a drive in applications, resulting in approximately 1,200 candidates from 90 countries. 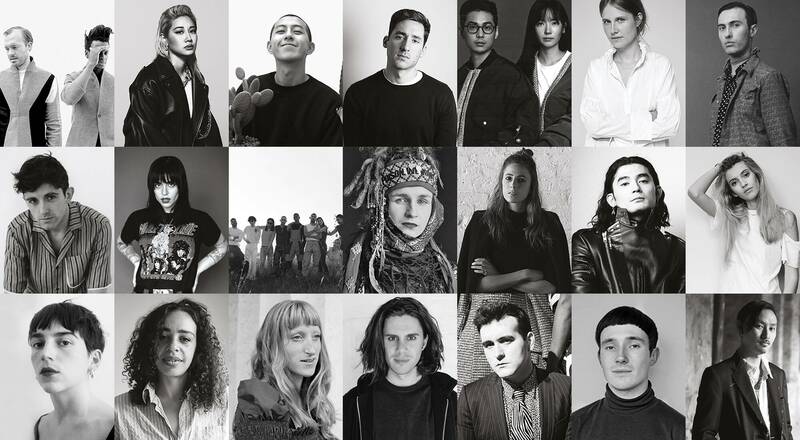 Among the fashion designers selected in the fourth edition of the LVMH Prize, 10 design menswear, 9 womenswear exclusively while 2 design unisex collections. 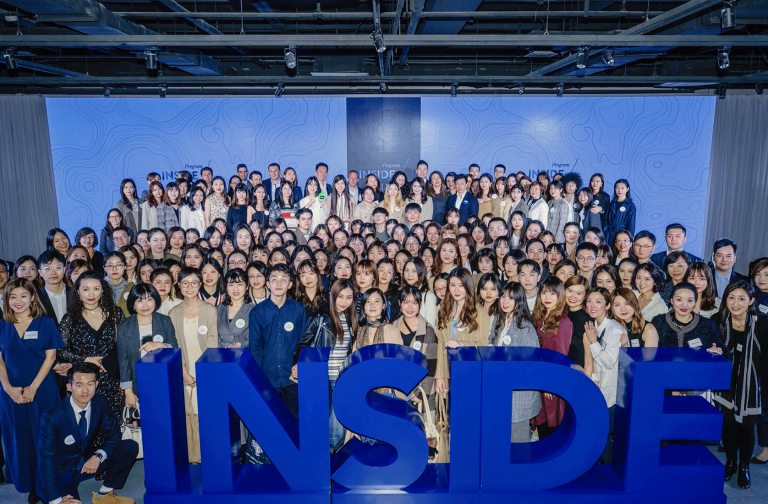 The 21 designers have been invited to meet our 45 international fashion experts who will pick 8 finalists during a showroom that will take place on March 2 and 3 in Paris. The LVMH Prize will be awarded by the Jury on June 16 at the Fondation Louis Vuitton. Moreover, three young graduates from fashion schools will be awarded the Graduate Prize that remains open to applications until May 15, 2017. ABASI ROSBOROUGH by Greg Rosborough (American designer based in New York). Menswear, showing in New York. AMBUSH by Yoon Ahn (American designer based in Tokyo). Unisex collections, showing in New York. ANGUS CHIANG by Angus Chiang (Taiwanese designer based in Taiwan). Menswear, showing in Tokyo. ATLEIN by Antonin Tron (French designer based in Paris). Womenswear, showing in Paris. BLINDNESS by JiSun Park (Korean designer based in Seoul). Menswear, showing in Paris. CECILIE BAHNSEN by Cecilie Rosted Bahnsen (Danish designer based in Copenhagen). Womenswear, showing in Copenhagen. CHARLES JEFFREY LOVERBOY by Charles Jeffrey (British designer based in London). Menswear, showing in London. DANIEL W. FLETCHER by Daniel Fletcher (British designer based in London). Menswear, showing in London. DILARA FINDIKOGLU by Dilara Findikoglu (Turkish designer based in London). Womenswear, showing in London. GMBH by Serhat Isik (German collective based in Berlin). Unisex collections, showing in Berlin. JAHNKOY by Maria Kazakova (Russian designer based in New York). Menswear, showing in New York. KATHERINE MAVRIDIS by Katherine Mavridis (Australian designer based in New York). Womenswear, showing in New York. KOZABURO by Kozaburo Akasaka (Japanese designer based in Tokyo). Menswear, showing in Tokyo. MAGGIE MARILYN by Maggie Hewitt (New Zealand designer based in Auckland). Womenswear, showing in Paris. MARINE SERRE by Marine Serre (French designer based in Paris). Womenswear, showing in Paris. MARTINE ROSE STUDIOS LIMITED by Martine Rose (British designer based in London). Menswear, showing in London. MOLLY GODDARD by Molly Goddard (British designer based in London). Womenswear, showing in London. NABIL NAYAL by Nabil el-Nayal (British designer based in London). Womenswear, showing in London. PALOMO SPAIN by Alejandro Gomez Palomo (Spanish designer based in Cordoba). Menswear, showing in New York. RICHARD MALONE by Richard Malone (Irish designer based in London). Womenswear, showing in London. SULVAM by Teppei Fujita (Japanese designer based in Tokyo). Menswear, showing in Tokyo. Because both its roots and future are intimately linked to creativity, LVMH and its brands have always actively nourished creative talent. 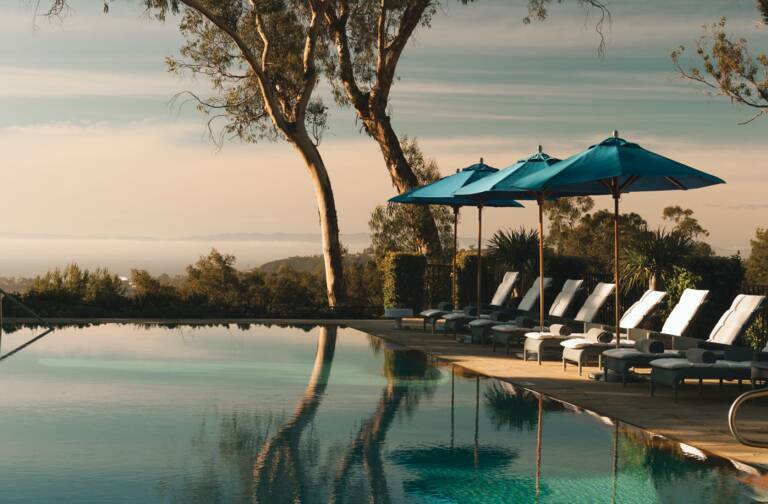 Creativity is one of the Group’s core values, guiding all its teams, from designers to noses to cellar masters. 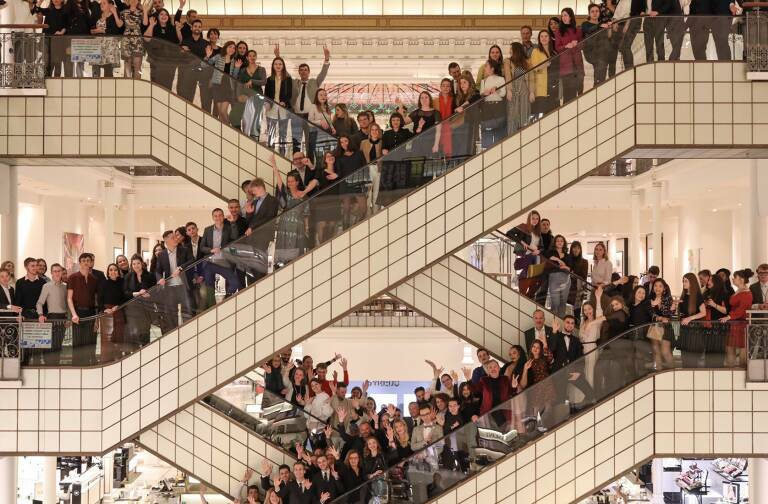 This engagement inspires all LVMH houses to actively support creativity in every form. For that reason, the Louis Vuitton Foundation for contemporary art opened to the public in October 2014 in a sumptuous building created by Frank Gehry, adding to LVMH’s lasting sponsorship of the arts. This same passion has led the LVMH Group to launch the LVMH Prize for Young Fashion Designers. This initiative helps drive the momentum and emergence of fresh talent that is essential to the vitality and diversity of the fashion ecosystem, a role that is perfectly in phase with the responsibilities of the world leader in luxury.